Hi, my name is Andres Isaac Lagos Espinal. I was born on April 13, 2013, and I am 5 years old. I live with my sisters, mother, stepfather, aunt, and grandparents in my grandparents' house. My mom isn't working right now because she stays home to take care of my baby sister, but my stepdad works in construction. My aunt helps us financially too. Recently I started attending church with my grandfather. 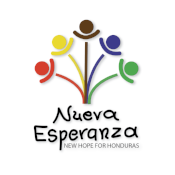 I get to attend Nueva Esperanza with my older sister Alejandra. Andres needs a $30 or $60 a month sponsor.